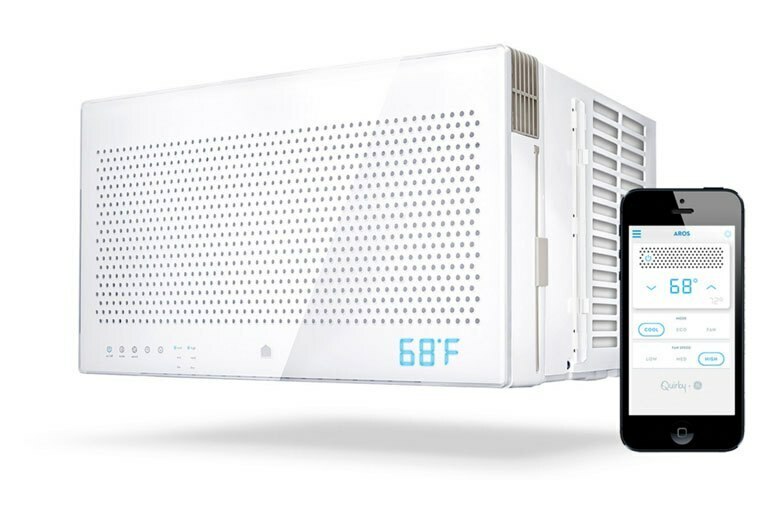 The Aros Smart Air Conditioner looks much sleeker and more sophisticated than most window air conditioners. The Smart Budget feature lets you make sure your power usage and cost don't spiral out of control. Its $300 list price is comparable to what you'd pay for an air conditioner without the smart features. The fabric flaps that should seal the unit in the window are difficult to secure. The Aros does not come with its own remote; your mobile phone must be used to control it remotely. Some of the smart features can be buggy. 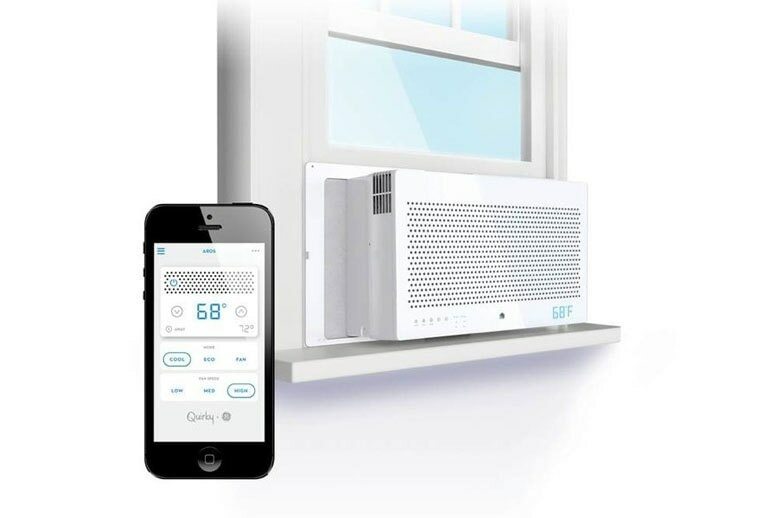 Cooling your house can be an expensive proposition, but the Aros Smart Air Conditioner from Quirky + GE can help. 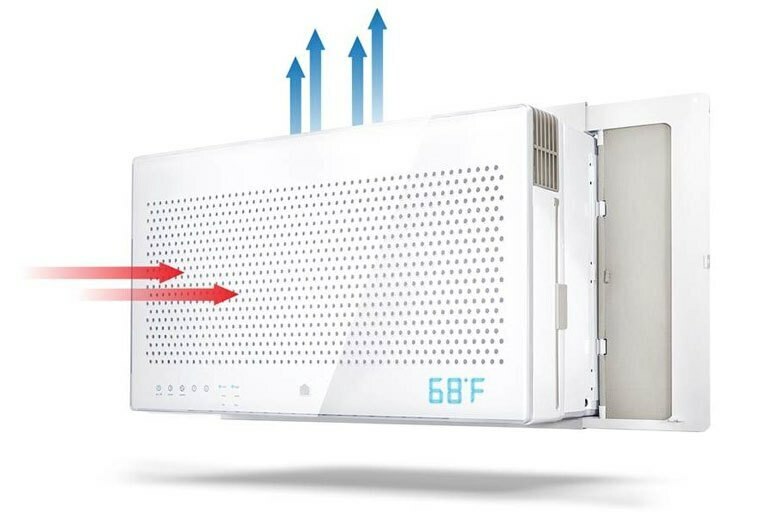 This connected, 8,000 BTU air conditioner looks like a traditional window unit--albeit much sleeker and more sophisticated than the window units you may be familiar with--but on the inside, it boasts some serious smarts. It connects to a mobile app, which you can use to set the temperature automatically. The Aros can be turned down or off when you leave the house--and it knows when you do so--and will turn back on when you’re approaching home. Smart Budget in particular seems like a feature that I'd use regularly, as I love my conditioned air, but hate big power bills. Aros is the prettiest window AC I've seen. Smart, skinny and beautiful. Maybe I should hate it? 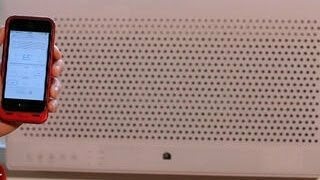 Unlike many air conditioners that push air out from the front, the Aros pushes cool air upward, which Quirky claims increases air circulation. I'm not sure if it made much of a difference in cooling, but I like the fact that I could sit near the air conditioner without it blasting me directly in the face. LOUD, even on low this is the loudest airconditioner I've ever owned and the reason I only give it three stars... you can't watch TV with it on, you can't listen to music or even carry on a conversation. Aros lets users control settings via a smartphone. The device can also use "geo-fencing" to pinpoint the location of a user's smartphone—letting the air conditioner automatically start up when it senses that its owner is headed home.